Did you hear what happened in Florida?! While everyone was consumed this weekend talking about Oscar Pistorious’s murder charge, All-Star Weekend and Michael Jordan turning 50, a series of firsts were taking place down in Florida. Ladies and gentlemen, Danica Patrick intends to be taken seriously. I hope. On Saturday, Patrick posted the fastest time in the qualifying round for the Daytona 500. I can admit, like many, I was shocked. When Patrick first started racing it was a big deal, of course, because very few women have participated in auto racing. In fact, on May 29, 2005, Patrick became just the fourth woman to compete in the 94th Indianapolis 500. Before switching to the Sprint Cup series last year, all we had to go off of was her previous track record which had included only one win(the 2008 Indy Japan 300) and seven top ten finishes in the Nationwide Series. On Sunday, she one upped herself and claimed the top spot in the pole. Say what now? For those of you who do not understand what the pole is. It means she was, once again, the fastest person on the track that day. 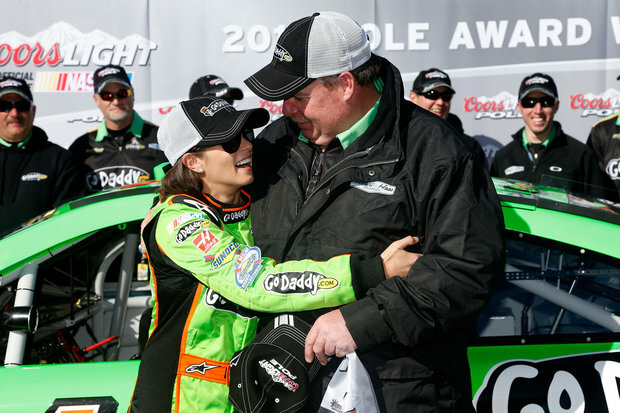 Yes, a woman is going to lead the start of the 55th Daytona 500. As if I was not already excited enough for NASCAR season to begin. Do you all realize how huge of an accomplishment this is? The Daytona 500 is the granddaddy of all races. It is the one race EVERY driver wants to win at least once in their life. No, winning the pole does not guarantee you a first place finish but it does signify that you are to be taken serious. In a TOTALLY male dominated sport, Patrick has done something no other woman has been able to do before and she has served notice to the other drivers. Her hot start does not mean she will dominate the track this year. In fact, plenty of drivers have taken the pole at the Daytona 500, only to not win the Daytona 500 and to ultimately finish outside the top 10 in the Sprint Cup. This feat is going to put a lot of pressure on her to live up to all the hype that has surrounded her the past few years. However, this is a major leap forward for women. A lot of us are more than just a pretty face. You might want to take notes….